When you first meet Fred Allen, you do not immediately get the impression of a highly successful salesman. Quiet, dignified and unassuming – almost shy – Fred Allen’s ability to convince – to sell – becomes more and more apparent as you are exposed to his sincerity and obvious dedication to his purpose. For, without question, he has proven his sales ability. After graduation from East Texas University at Commerce, he taught school in Ennis for three years before entering the Army. After returning from military service in Germany, he decided to try his hand at selling, and rose quickly to Sales and Advertising Manager for Robotyper Corporation in 1954. Five years later, he joined the parent organization, Royal Typewriter Company, as Western Regional Sales Manager, Chicago, and just one short year later moved to New York City as National Sales Manager. In 1963 he stepped up to become Sales Manager for Litton Industries Business Equipment Group. Striking out on his own, he founded his own company in 1966, but in 1972, he tired of New York state and returned to Texas to operate the family ranch near Mt. Pleasant. But the sales instinct was too strong, and he soon founded his present highly successful direct mail management business, with a nationwide clientele. He was elected Charter President of the Mailing List Industry Association in New York City, and was the keynote speaker at the International Direct Marketing Symposium in Montreux, Switzerland. He’s been listed in South and Southwest Who’s Who since 1978. While teaching in Ennis, he decided to follow his father into Masonry, and was raised in Ennis Lodge 369 on February 28, 1950. During his sojourn in New York, his work prevented him from being active, but upon his return to his birthplace in Titus County in 1972, he affiliated with Temple Lodge 70 at Mount Pleasant, and served as Master of the Lodge in 1978-79. 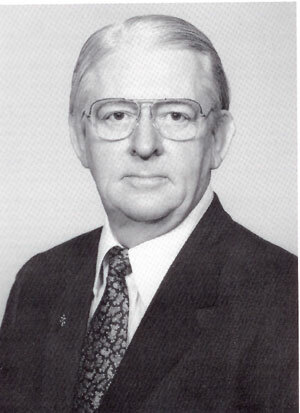 Later, he served as District Deputy Grand Master in 1983, and in 1987, doubled as Grand Marshal and State Coordinator. 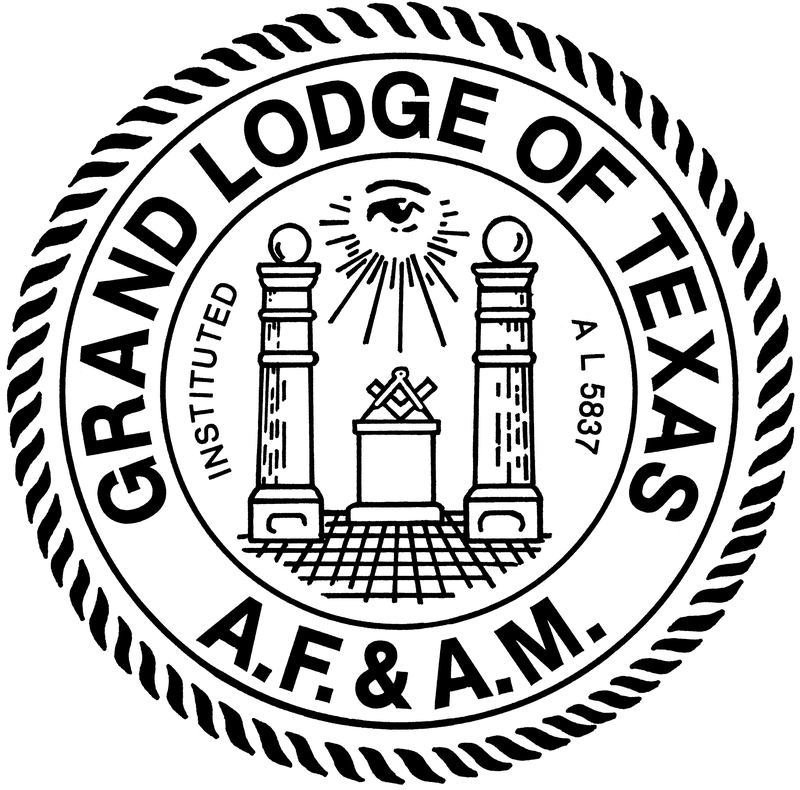 He is also a Charter member of both Roy Stanley Lodge 1367 and Claud L. Austin Daylight Lodge 1450, both in Dallas, and is still a member of his mother lodge, Ennis 369. He is an Endowed Member of all four lodges. He has been a member of all York Rite Bodies since 1950, serving as Thrice Illustrious Master of Rob Morris Council 31 in 82-83; and as High Priest of Rob Morris Chapter 40 in 1981-82. He served as District Deputy Grand High Priest in 1981-82, and District Deputy Grand Master of the Grand Council in 1983-84. In the Knights Templar, he served as Generalissimo of Pittsburg Commandery in 1987. 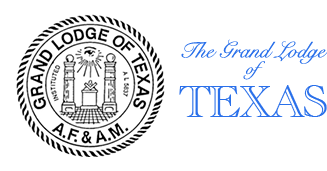 Active in Scottish Rite since 1978, he now serves as Membership Chairman for the Valley of Dallas, the largest Scottish Rite Valley in the Southern Jurisdiction. He was invested with the Knight Commander of the Court of Honor in 1983, and was coroneted a Thirty-third Degree Inspector General Honorary in 1987. A noble of the Mystic Shrine, he belongs to Hella Shrine Temple, and is a Past President of the Knights of Mecca, the Temple’s Blue Lodge Degree Team. 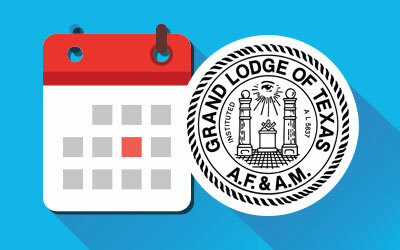 Other Masonic and Masonic-affiliated memberships include the Order of High Priesthood; Order of the Silver Trowel; York Rite College; Red Cross of Constantine; Royal Order of Scotland; Philalethes Society; the Texas Lodge of Research; Texas College, Masonic Rosicrucians; and the Order of Eastern Star. To Fred Allen, public and community relations are absolutely vital to the success and growth of Freemasonry at the grassroots. He practices what he preaches. He is past Chairman of the Foundation Board of East Texas University and was honored by the University as a Distinguished Alumnus in 1985. He is past President of the East Texas Angus Association and a past member of the Board of the Texas Angus Association. He has served as a member of the Board of Titus County Hospital District, and of the Board of Directors of the Chamber of Commerce. Additionally, for a number of years he served as a member and Chairman of the Board of the American National Bank of Mount Pleasant. In Masonry, he was one of the principal architects of the highly successful Sesquicentennial Celebration of the Grand Lodge of Texas. A large share of the very positive public impact of the 150th birthday of Texas Masonry was a result of his outstanding efforts. He strongly believes that every Mason should support the church or synagogue of his choice. He is a very active member of Tennison United Methodist Church of Mount Pleasant, where he was a Lay Delegate to the Annual Conference from 1978 to 1989. He as served as President of the Methodist Men twice, has ushered and served in many other tasks in the Church. He has been very happily married to the former Mildred Craghead for over 35 years. Their daughter, Linda, is the wife of Lee Miche, a young and active Mason and East Texas businessman. What is the Grand Master’s hobby? Freemasonry! My Brethren, there is an old saying, “The speed of the leader determines the rate of the pack.” The speed of THIS leader will keep the pack out of breath!